MerSol Ltd Designs, Manufactures, Warehouses & Distributes retail display solutions produced in a multitude of materials. Our expertise and knowledge is backed up with over 25 years of experience resulting in hundreds of products successfully designed, developed & supplied. We are constantly developing new solutions from simple accessories to more complicated shelf management solutions. We also offer a full bespoke service from Prototype to Volumes. Over 25 years experience has resulted in our team developing more than 250 products specific to the retailers requirement. 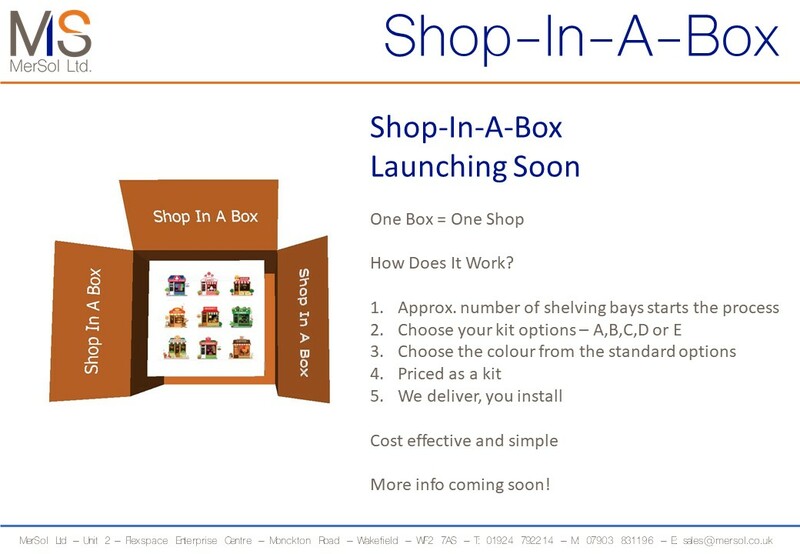 We have used this knowledge and experience to create an online store that will result in "ONE SHOP equals ONE STOP" ensuring you will not need to go anywhere else to find what you need. We offer full in-house design whether you are looking for DXF's, 2D or full 3D we can accommodate your requirements. We pride ourselves on offering a 360 degree service from Concept to Reality. We offer standard & bespoke solutions. We also offer full stock holding, kit packing and distribution. Our distribution partners ensure that we can provide full tracking from Parcels to Pallets. If you can't find what you need give us a ring and we can discuss your requirements alternatively we can arrange to come see you. Copyright © 2018 Mersol Ltd - All Rights Reserved.